‘Faith and Reason are like two wings on which the human spirit rises to the contemplation of truth; and God has placed in the human heart a desire to know the truth – in a word, to know himself – so that, by knowing and loving God, men and women may also come to the fullness of truth about themselves’. – Pope John Paul II. 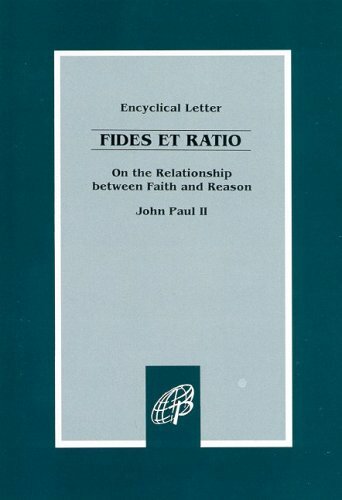 Fides et Ratio/On the Relationship between Faith and Reason (Boston: Pauline Books and Media, 1998, 7. ‘Religious belief is currently under heavy fire. Books by Richard Dawkins, Christopher Hitchens and others tell us that religion is a corrupting delusion. Despite their assertions of the rationality of atheism, the style of their onslaughts has been strongly polemical and rhetorical, rather than reasonably argued. Historical evidence is selectively surveyed. Attention is focused on inquisitions and crusades, while the significance of Hitler and Stalin is downplayed. Believers in young-earth creationism are presented as if they were typical of religious people in general. The two books under review aim to make a more temperate contribution to the debate. John Cornwell has hit on the amusing conceit of writing in the persona of Richard Dawkins’s guardian angel, a being, moreover, who had earlier stood in the same relationship to Charles Darwin. The book’s tone is gently ironic and its style that of modest discussion, which all makes for an enlightening read. The twenty-one short chapters each consider some claim made in Dawkins’s book The God Delusion and then subject it to reasoned questioning. Cornwell begins by pointing out that Dawkins makes no serious attempt to engage with the academic discussion of religious thought and practice. His book is “as innocent of heavy scholarship as it is free from false modesty”. When it asserts that Jesus’ call to love our neighbour referred only to relations between Jews (despite this claim being in clear contradiction to the point of the parable of the Good Samaritan), the only support quoted for this highly questionable statement is a book written by an anaesthesiologist. Over the centuries, theologians have wrestled with how human language can attempt to speak about the nature of God, emphatically rejecting the idea that the deity is simply an invisible object among the other objects of the world. Yet, as Cornwell points out, the God in whom Dawkins disbelieves is a kind of “Great Science Professor in the Sky”, a simplistic notion that any thinking theist would be quick to reject. We are continually told that theology is no proper academic discipline, a conclusion that could only be reached by someone whose knowledge of the subject was comparable to the scientific knowledge displayed by those who write in green ink that “Einstein was wrong”. Dawkins is relentlessly rude about religious believers. They are said to be “malevolent, barking mad, mendacious, deluded” and much more. He cannot have the courtesy to take seriously those of us who are both scientists and believers. Religious education of the young is equated with child abuse. Darwin’s angel pertinently asks, “Would you really trade child sexual abuse for being brought up in the religion of your parents?”. The tone of contempt – one might almost say hatred – that characterizes many of the assertions in The God Delusion is one of the most disturbing aspects of the book. In God We Doubt displays much more even-handedness. John Humphrys is respectful of religious belief and the kind of life that often, but not invariably, issues from it, while emphasizing that he is unable himself to accept such belief. His approach is that of one who remains open and questioning about these matters, as indicated by the subtitle of his book, Confessions of a failed atheist. Humphrys writes in the chirpy colloquial style one might expect from a presenter of the Today programme on Radio 4. In fact, the book originated partly from interviews he conducted with the Archbishop of Canterbury, the Chief Rabbi and Tariq Ramadan, a Muslim academic, for the radio, and from the deluge of correspondence that followed. Humphrys takes very seriously the human experience of conscience, urging us to do some things and to refuse to do others. No doubt, evolutionary thinking offers us some partial understanding of this, with its concepts of kin altruism (protecting the family gene pool) and reciprocal altruism (I’ll help you in the expectation that you will help me). Nevertheless, Humphrys rightly sees that these concepts fail to offer insight into the kind of radical altruism which, to use an example he discusses at some length, led Irena Sendlerova repeatedly to risk her life in saving 2,500 Jewish children who were trapped in the Warsaw ghetto. Humphrys sees ethical intuition as the signal of a transcendent dimension in life, which he values but does not know how to explain from an atheist point of view. 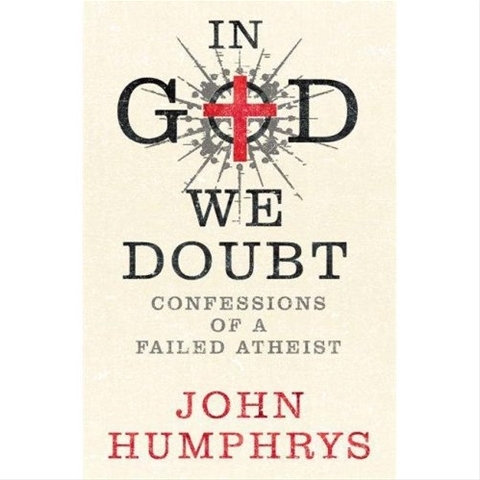 Humphrys believes that the case for God made by the Abrahamic faiths is “riddled with holes”. He fails to acknowledge the subtlety and truth-seeking character of theological thought, or to recognize that the care and discrimination exercised in serious biblical studies carries us well beyond a plodding, crypto-literalist approach to the interpretation of Scripture. Both Dawkins and Humphrys rightly engage with the challenge to theism that is represented by the existence of a world claimed to be the creation of a good and powerful God, but which nevertheless contains so much evil and suffering. This is surely the greatest difficulty holding people back from religious belief, and it is one that continually troubles religious believers. One could not claim that there is a complete and straightforward answer available to remove the perplexity. Yet there are some arguments, not discussed by either Humphrys or by Dawkins, which offer modest help as theologians struggle with the problems of theodicy. Interestingly, science is of some assistance in this regard. Its understanding of how the world works shows that natural processes are inextricably entangled with each other. They cannot be separated out, so that those with good consequences could have been retained by a competent creator who, at the same time, eliminated those with bad consequences. The integrity of creation is a kind of package deal. For example, the process of genetic mutation produced new forms of life, but it has also resulted in malignancy. You cannot have the one without the other. 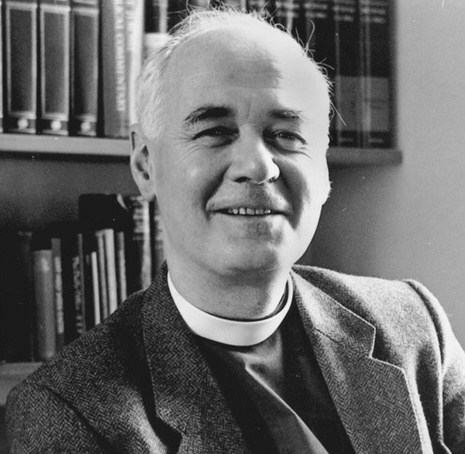 Humphrys asks why there are not repeated divine interventions to avert evil consequences. Such things could only happen in a magical world, and that kind of world is not this one, because its creator is not a capricious magician. 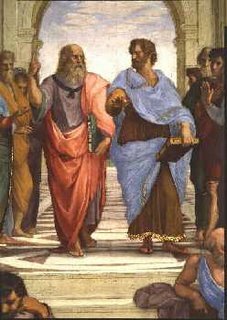 Only a world with sufficient reliability for deeds to have foreseeable consequences could be one in which moral responsibility was exercised. These insights do not dispose of all the anguish and anger that we feel in the face of individual human suffering, but they suggest that it is not simply gratuitous, easily removable by a God who was a bit less callous. Fundamental to the discussion to which both books are seeking to contribute is the relationship between faith and reason. Too often the two have been pitted against each other, as if they were in necessary contradiction. Religious faith is not a matter of the unquestioning acceptance of unmotivated belief, demanded of us by some overriding authority. Quite the contrary. Faith is a commitment to a form of motivated belief, differing only from scientific reason in the nature of the subject of that belief and the kind of motivations appropriate to it. Science achieves its success by the modesty of its ambition, only considering impersonal experience open to repetition at will. Personal experience, let alone encounter with the transpersonal reality of God, does not fit within this limited protocol. The concept of reality offered by scientism is that of a world of metastable, replicating and information-processing systems, but it has no persons in it. Darwin’s Angel criticizes Dawkins for a lack of trust in the power of imagination to explore reality, such as we exercise through poetry. He is said to sound “as though he would substitute a series of case-notes on senile dementia for King Lear”. No progress will be made in the debate about religious belief unless participants are prepared to recognize that the issue of truth is as important to religion as it is to science. Dawkins invokes Bertrand Russell’s parable of the teapot irrationally claimed to be in unobserved orbit in the solar system. Of course there are no grounds for belief in this piece of celestial crockery, but there are grounds offered for religious belief, though admittedly different people evaluate their persuasiveness differently. Religion does not have access to absolute proof of its beliefs but, on careful analysis, nor does science. In all realms of human inquiry, the interlacing of experience and interpretation introduces a degree of precariousness into the argument. Yet this does not mean that we cannot attain beliefs sufficiently well motivated to be the basis for rational commitment. In his book on the philosophy of science, Personal Knowlege (1964), Michael Polanyi stated that he was writing in order to explain how (scientifically) he could commit himself to what he believed to be true, while knowing it might be false. That is the human epistemic condition. Recognizing this should encourage caution, but not induce intellectual paralysis. It is in this spirit that the dialogue between science and religion needs to be conducted’. For those interested, there’s also an excellent Royal Society lecture by Polkinghorne available from here.